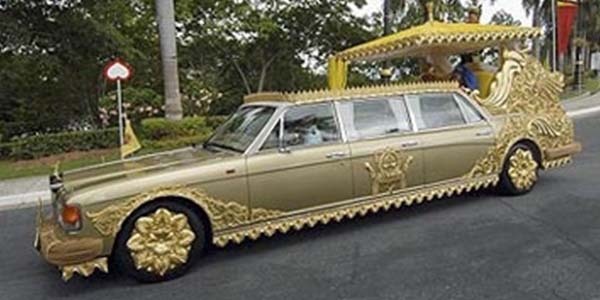 First things first, every head of state, especially a monarch, needs a limo. The Sultan’s customized Rolls Royce Silver Spur does a great job of reflecting his excessively luxurious lifestyle. 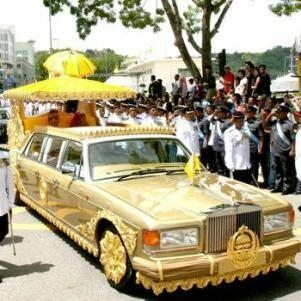 The vehicle was custom-made for his wedding day and covered in 24k gold. The limo is valued at roughly $14 million. To put this into perspective, the current POTUS limo with all its high-tech safety equipment is worth roughly $3 million.